Everyone who deals with website promotion has one important wish. Whether he or she is an SEO newcomer or SEO expert, they want to find out how to get to the Top of Google. The truth is, getting high rankings turns out to be a real headache, especially after yet another Google update. But fear not, Links Management is here to bring you a special gift as we ring in the new year. Make sure to carefully read this entire guide and follow ALL of the advice given to secure the top positions in Google search results. Success will be inevitable if you follow EVERY given recommendation. Among our customers, there are those who have successfully achieved the Top 10 on Google with our recommendations, but still, there are some who don’t follow our tips and fail to get top Google rankings. Thus, every month we carefully examine and analyze each factor that influences the success and failure of our customers. We will update this guide every time there are some fresh details to report (this is the latest update as of 31 January 2018). We uncover the main reasons WHY people fail on their way to the top 10 on Google and explain what exactly you need to do – and how to do it – in order to successfully achieve #1 on Google in 2019 and stay there for many years! Note: It’s essential to follow each of these 21 steps. If you skip any of them, it may result in a failure to get to Top 10 on Google. Now let’s get to the tips! Start with keyword research. Don’t focus on just a few keywords – you will need to draw up a long list of them and undertake keyword research. We would also recommend that you pay attention to this keyword research tool. It will simplify your keyword search. If your website structure is a mess – there’s no way you can rank high on Google. The search engine pays most of its attention to navigation and user experience, so make sure your structure is balanced and clear. It’s also important to link the pages within your website properly. A clear site structure will boost your site’s visibility to search engines and will lead to higher rankings on Google. How can you outshine your competitors, you ask? First of all, you need to understand your competitors’ tactics and select your methods for an efficient SEO campaign based on what you learn about your competitors. 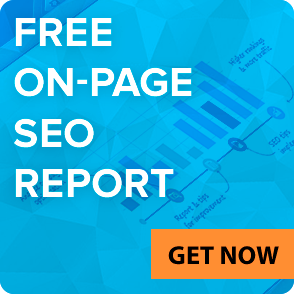 Our Free SEO Cost Calculator Tool allows you to find out the number of links that you need for your SEO and how much it will cost to outrank your competitors. Determining the cost will reveal the most suitable and appropriate keywords (based on your budget) you need to get to Google’s top 10 fast. This step is vital since it helps you to focus on the right niche and affordable keywords for that group. For example, you want to target a keyword such as “link building”, but after doing some research, you find out how competitive (read: expensive) it is. So, you want to switch to a less competitive keyword, say “link building service in the USA”. This research saves you thousands of dollars because one keyword can set you back as much as $10,000, but another long-tail keyword might only cost you $100. So, find out the exact information on cost and number of backlinks you need to outrank your competitors with our Free SEO Cost Calculator. It helps to boost Google ranking with reasonable expenses. Learn more about the right keywords in the article 7 Rules for Selecting The Best Keywords. Having a precise plan is half the battle. 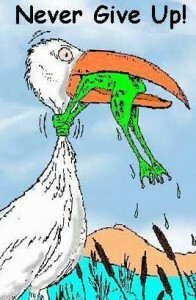 If you do something without an exact plan, it may bring you results that you weren’t necessarily expecting. The more quality backlinks your site has, the higher rankings in Google it receives. Having vast experience in helping business owners get to the Top 10 on Google, we have developed a free and powerful tool – SEO Cost Calculator that will provide you with a link building plan. Besides that, it will indicate keywords and a budget you need to outplay your competitors. 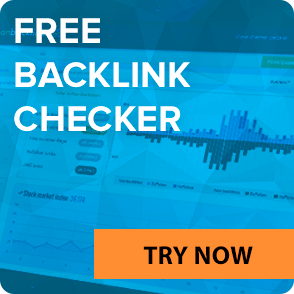 Our backlinks analyzing tool operates under the latest Google ranking rules. Using this service, you will learn the type and number of backlinks you need to buy in order to run a smooth SEO campaign. If you want to get an extended analysis, we recommend you use our SEO Services. The very first thing in your link building campaign is getting backlinks. But the trick is that your backlinks profile should look natural to Google. Don’t try to make your site successful overnight! Be consistent and steady. The most important thing is buying/getting your backlinks gradually. If you buy too many backlinks at once, Google may disregard them. To provide a solid foundation for your website, start your link building campaign from backlinks with low SB Ranks (SB Rank 1-SB Rank 4). 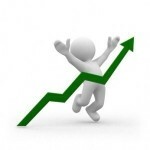 And within 1-2 months, you may acquire backlinks with higher SB Ranks. efficient backlinks for higher rankings, etc. About 45% of your anchors should contain your website URL or even consist of merely your URL. About 30% of your anchors should consist of a brand name or the domain name of your website. These practical tips will improve your Google ranking without any risk of penalty. If you have any further questions, learn more about how to choose the best anchor texts . Remember that you can always address us and our SEO specialist will manually select the most appropriate backlinks for you! Since Penguin became an integral part of Google’s algorithm, SEO strategies have changed. This time, we’ll need to cope with yet another broad Google’s algorithm update. In the beginning of August, folks from Google confirmed a new update which was soon dubbed as “Medic” Core Update for its impact on health and wellness websites. This update signifies that it’s important to focus on a broad range of measures to get impressive results. That is the synergic effect in practice. Let us explain how it works. Our recent SEO research showed that the promgirl.com website got to the Top 10 on Google using more than 30,000 keywords (according to SEMRush) and got more than 2,500,000 visitors a month with only 2,300 referring domains. If you divide 30,000 keywords by 2,300 domains, you’ll see that 1 backlink provides Top 10 positions for every 13 keywords on promgirl.com. Another our customer obtained good results as well. This website appears in the Top 20 of Google SERPs using more than 300 keywords (according to SEMRush) with more than 2,000 visitors every month and only 200 referring domains. Dividing 300 keywords by 200 links shows that 1 backlink results in the Top 20 positions for every 2 keywords for lasitlaser.com. Make use of the Natural Anchor Text Distribution Formula. Increase the number of referring domains (permanent links do a great job in this case). Follow other rules indicated herein to make your SEO campaign natural and effective. It is a good idea to have keyword-centric content within your links. In this way, they seem more natural to Google, whereas other methods of increasing Google ranking may look thin. Keep in mind that targeted keywords in your content play a significant role and bring additional link juice to your existing backlinks. When you purchase links at http://cp.linksmanagement.com, you may indicate additional content before and after the link. In total, your link will be surrounded by 500 characters of unique and appropriate content. Thereby, links acquired at LinksManagement look natural to Google and other search engines; this natural look will improve your website rankings. As you know, PageRank is no longer available. So, ScanBacklinks has elaborated its metric to understand the value of any web page better. This metric is called SB Rank, and it considers not only PA/DA metrics, but other metrics as well. For this reason, we use SB Rank, because it gives us more reasonable information about any website. 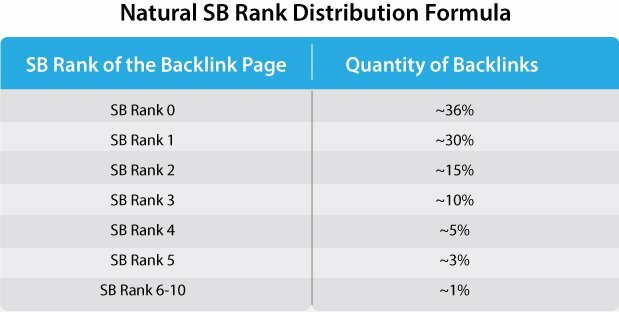 Google likes diversity, so you have to avoid using links with only a high SB Rank as well as links with only a low SB Rank. Make sure that your backlinks come from pages with diverse ranks. This strategy will prove Google that you got those backlinks in a natural way. If your current backlink profile does not meet these requirements, just add appropriate backlinks to make your website look natural to Google. It is important to note that your backlinks should come from relevant pages. There is no point in buying expensive backlinks if they are irrelevant to your niche. Google will not appreciate that. Our SEO Expert Tool will select the most relevant backlinks for you. Moreover, contact us if you want to obtain manually selected backlinks. Make sure that about 30-50% of backlinks are pointing to the homepage and 50-70% to other pages of your website. These percentages are especially important for content-heavy sites. It has been proven that sites with backlinks pointing to all pages of their website, including inner pages, have much better rankings on Google than those with backlinks pointing only to their homepages. If about 50-70% of your backlinks point to your inner pages, it seems more natural to Google and results in higher rankings. Here are some accurate records of our clients who have a large percentage of backlinks pointing to their subpages: btcmanager.com has about 80% of such links, khojdeal.com – 70%, cryptoledge.com – around 70%. As a result, Google has deemed these websites natural and boosted their positions. Our research proved that websites with a high percentage of backlinks pointing to their homepages and very little percentage of backlinks pointing to their subpages had significantly worse rankings than their competitors with fewer backlinks but more natural backlink profiles. Titles. Title tags are used to describe the content of a given page to search engines and users. Meta descriptions are short texts of a website’s content description in HTML. It makes sense to use keywords in the meta description. Heading tags & Content. Google improves the SERP position of your site if there are appropriate keywords in the content. Pay special attention to the keywords inside Heading tags. URLs. The URL is one of the most crucial elements in selecting your site among many others. Images Titles & Alt Text. Both alt text and titles are attributes that can be added to an image tag in HTML. Search engines take into account the attributes for page ranking. Create at least 60 pages with unique content (each page should consist of at least 500 words). The more content, the better. Highly informative content that is useful for people improves Google rankings. It is also essential to update the content as often as possible. Optimize your content for simple updating. Avoid all of the duplicated content or use a robots.txt file to close it from indexing. This is a must! After the Penguin 4.0 update, the road to Google Top 10 is closed for such sites. So, pay careful attention to the content quality because this factor is becoming more and more crucial. SmallSeoTools or Copyscape will assist you in finding and deleting the duplicated content. If you are hell-bent on increasing the Google ranking of your website, note that there is one more vital thing to do – create a sitemap. A great variety of sitemap generators offer you easy and quick solutions which you can upload to Google. To get the most out of your investments, start with the pages that bring you a lot of traffic. Then, as you create more pages in future, be sure to optimize them as you go. To gain a better understanding of smart on-page optimization, read this ultimate On-Page SEO Guide. The number of purchased/built backlinks is not enough to be in the Top 10 rankings on Google. With the help of our Free SEO Cost Calculator, you can reveal the proper number of backlinks you need to get into the Top 10. Besides that, it will figure out WHICH EXACT links you need for the successful performance of your website. If you want to outsmart your co mpetitors and spend money wisely, you should know how many backlinks you need. Below you find out more about your link building strategy. If you canceled your purchased links within 1 month after their placement, or a publisher deleted any links within 3 months, that means you just muddled away your money because Google ignores links younger than 3 months. Perhaps, you over-optimized your backlinks profile with exact anchor text match. Remember that too much of a good thing is good for nothing. Consider your presence in social media. It is great when people can share info about your website. So, adding “Share” buttons on your website is helpful. Do not forget that accounts in social media give you free links from reputable resources to your website along with boosted traffic. As you may know, Google is as cunning as a fox. So if your rankings began dancing after the recent organic or purchased link building campaign, keep calm and go on with your link building. This is a tricky algorithm from Google (which is proven by their own patent 8,244,722). Our clients, SEOmoz experts, and other SEO resources noticed this catch too. Just stick to your carefully planned link building strategy, and eventually, the situation will settle down. Here we explain why your site rankings may drop. One of the most common SEO mistakes, and why people often stop their link building campaign, is that they do not see any quick, visible feedback. Bear in mind that SEO does not produce results overnight. Arm yourself with patience and wait for at least 3-6 months, better even 12 months, to obtain positive results and get your investments back. Follow your link building strategy until it’s complete. And in several months you will enjoy the fruits of your labor. Bear in mind that quite often, the rankings of your website may bounce up and down until you get to Google’s Top 10. Check out the 11 Most Costly SEO Mistakes 99% of People Make to avoid possible hurdles. It’s no secret that skilled professionals are above rubies. Especially when it comes to your website promotion and profit increase. So if you are not an SEO guru, then the most reliable, prompt, and reasonable way to secure the Top spots on Google is to hire an SEO expert. It’s impossible to learn SEO overnight. And moreover, the data is changing so quickly that it’s difficult to predict some future pitfalls. To know a lot about SEO isn’t enough. You have to know how to apply the theory to practice. You can never get experience from someone else’s knowledge. Solid experience is usually accompanied by many mistakes. But making mistakes is definitely not the thing that you are ready to do with your website, is it? The only proven method for avoiding those painful mistakes is hiring an experienced professional who will tackle all of your SEO issues properly. While we believe that this article can be very useful to our readers, we have found that our customers, even after reading this article, continue making the same mistakes. So. if you are a middle SEO specialist, we are confident that you can run the whole SEO campaign on your own. But if you hire an SEO expert too, you’ll immediately see the difference – you’ll save a whale of time and heaps of money! You’ve probably heard that compiling checklists works wonders. And it actually does! If you want to capture the Top spots on search engines and generate a lot of traffic with thousands of visitors per month, you need to have a thorough checklist. The good news is that we’ve created 3 Free Checklists for your easy start. SEO for Newbies: The Guide for Beginners will help you get off to a flying start in SEO. This is a must-have for beginners. We share the basics of SEO in plain language. 101 SEO Mistakes covers the widespread costly mistakes in website optimization. We’ve gathered them all to advise you beforehand! SEO Сhecklist: 99 Steps for an SEO Expert is an in-depth guide for professional SEOs. You can learn plenty of handy and efficient tips to smoothly run SEO campaigns for your website. Go for one of them and you’ll see the difference – all your SEO efforts will be targeted at the specific goal without random minor fixes that do nothing to reach your big SEO dream. How will you know that your website is successful if you don’t check your competitors’ progress? Whatever you do, you should always know where you are heading within the framework of your business goals and niche peculiarities. There are many services that let you track your positions automatically: SemRush, Moz Rank Tracker, SERPWatcher, Ahrefs, etc. The key ingredient of your website progress is properly selected keywords. 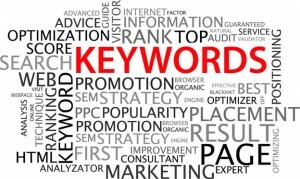 You can easily get your keywords analyzed and receive tips on how to surpass your competitors. Order our keyword research and ensure that you are moving in the right direction! Your content is dull. Search engines are extremely good at identifying valuable content. There is no need to generate a lot of blog posts that have zero value for your users. Search engines will spot this and demote your position, and thus traffic, heavily. Improper semantic core. We’ve already told you that keywords selection is an important thing if you want to rank high in Google. If your website has plenty of competitors and your niche is too crowded then take a look at long-tail keywords. Some of our customers have reached the first position on Google with this method. For instance, Danil Netu moved from the second page to the second position on Google Search using long-tail keywords. Load speed of your website is low. Remember: your visitors bring you traffic, and traffic brings you money. And your task is to make your visitors more than satisfied with your website. Take off every user experience issue on your website, or let us do it for you. One of the main reason for a high bounce rate is a website’s low load speed. A rare user will wait more than 3 seconds for the web page to load. You were hit by Google’s Algorithms. The truth is that changes happen so frequently that it’s impossible to keep track of them and react properly on your own. The right tactics for your website optimization will be prepared by an experienced SEO specialist. You are acting too quickly with your link building. Getting backlinks is a long and steady process that should indicate to Google that your website really deserves to get the most lucrative and desired positions. But many website owners ignore the steadiness in link building and arouse Google’s suspicion. Where are your getting those backlinks if you have a low traffic? 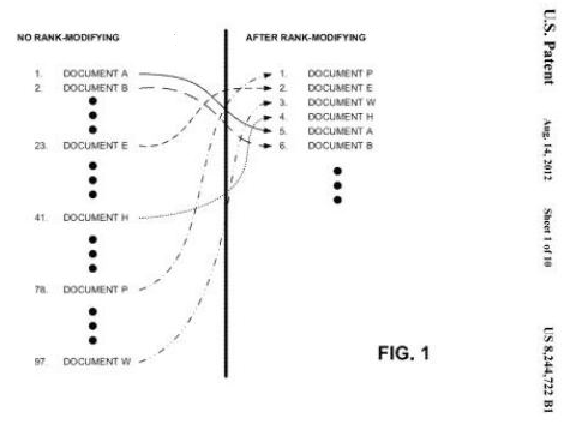 Depending on where you’re getting these backlinks from you’ll be marked unnatural. We’ve launched an additional service that allows you to get backlinks that perfectly suit your needs! This customized service is available today. Just let us know which backlinks you’d like to add to your backlink profile and our specialist will find just what you want! 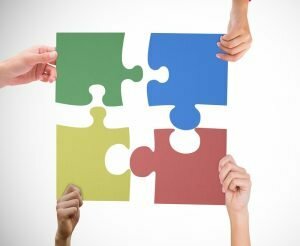 We’ve started a close cooperation with our partners – adsy.com. This is a cutting-edge content marketing platform that helps you succeed with your valuable content. You can order article links from them. You get top-quality permanent backlinks and a whole article devoted to your company or related topic. This is not a cheap service, but it is totally worth it! Article links are more credible in Google’s eyes. Plus, Adsy moderates every platform meticulously so you can be sure that you’ll find only the best platform in their inventory! Having a corporate blog is a good idea if you want to capture more visitors and earn Google’s trust. But writing articles isn’t an easy thing to do. You have to do it in accordance with the best SEO practices and provide your readers with relevant and trustworthy information. You have to solve people’s problems and cure their pains. 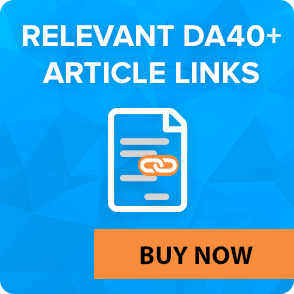 You can write articles on your own, or get high-class articles from Adsy. They always compile a keyword core and write enchanting articles. Do you enjoy our articles? Some of them were created by Adsy! No budget planning in SEO reminds us of sailing in an inflatable boat without knowing if it’s a lake, a sea, or an ocean. Many people often make the same mistake: they spend $200/month and wait for the results to come. But they underestimate other important options: targeting for less competitive keywords, dealing with on-page faults on their websites, etc. Their positions may somehow grow from the 981st place to 465 or even 114, but people who don’t plan SEO budgets may overlook such progress. They are waiting for their website to hit the Top 10 on Google and to bring in heaps of visitors. To be frank, this may never happen. To avoid this, you have to plan your budget and move on with small but steady steps. 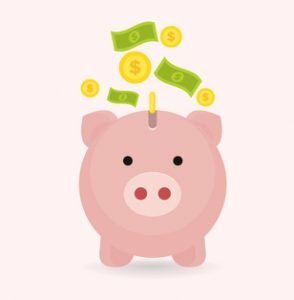 Website owners often want to save money on SEO. They don’t understand that SEO is an investment, and it means that the more you invest, the more you’ll get back. For instance, your $500 investment in SEO during 8 months (in total $4000) may generate $600 profit/month (income is higher than investment by 20%). At the same time an $800 investment during 8 months (in total $6400) may bring you $1600/month. In this case the profit is higher than investment by 200%. In other words, the difference in investments is 37,5% more than the initial budget, but the income may be 180% larger! Here’s how it works. Firstly, a small budget isn’t enough to do some great things, like getting more quality backlinks, fixing all on-page faults, or writing valuable articles. But all three of these options are key to reaching the Top positions. Secondly, #1 on Google gets 13x more traffic than #9. Many website owners forget that they are not the only ones who are improving their SEO and website content. They have many competitors who heavily invest in their SEO. This is why you should ALWAYS analyze your competitors and carefully select keywords that are within your budget. Just imagine if you spend $500/month on your SEO while your competitors are spending over $5000/month. What are the chances that you could outplay them? And, sure, there is no need to rush to extremes and buy all the backlinks you can afford. Any extremes in SEO will lead to unnatural website optimization. So take care of your website’s technical issues, proper anchors distribution, writing valuable texts, and building of a thorough SEO campaign for at least 12-18 months, and only after all this is done should you go for link building. 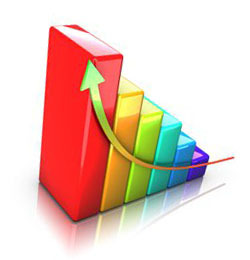 Let our SEO Calculator count how many backlinks you lack and our SEO Expert Tool will gradually purchase them for you. Google Mobile First Index that saw the world in October 2018 became a complete gamechanger. Ever since Google has been keeping a close eye on your website mobile friendliness. And taking into account that there will be over 2.8 billion smartphone users in 2020 worldwide, you cannot ignore the responsive design of your website. Garry Illyes also admitted that a mobile version of any website will be crawled first. Which means that in no time mobile friendlieness will prevail. Accordingly, you have to take care of your landing pages, design layouts, and selling texts. All they should work perfectly to bring in more traffic to your site. A convenient, responsive, and quick website results in great behavioral factors of your visitors. If a user doesn’t like how the website looks, she leaves. Then, Google degrades your positions on the search results page, and all your efforts on link building, on-page optimization, and articles go unnoticed. Moreover, if your competitors have a higher lead conversion rate you’ll have less of a chance to surpass them. For this reason, we recommend that you pay careful attention to the mobile version of your website. Need help with your website? Just let us know, so we can help make your website mobile friendly! 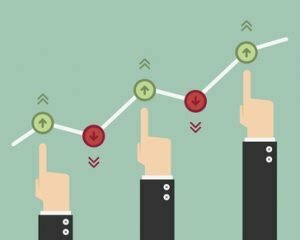 Instead of traffic increase, you should focus on rankings improvement from your link building campaign. That is because only the first three Google positions get significant traffic. The best option is to automatically track any ranking changes on your website throughout the first 100-200 search results. It is useless to do it manually within the first 10-50 search results. Follow your link building strategy until the end. Be patient, and after a while, you will see rewarding results. The speed of your link building. Keep a moderate speed when acquiring new backlinks. If you are not sure of the appropriate speed for your link building campaign, use our SEO Expert Tool to reveal it. The number of backlinks you get does matter too. There is no need to obtain hundreds of backlinks when you need just ten, and visa versa. Sometimes you are lacking many backlinks so you should carefully plan further activities to get them. This SEO Cost Calculator will indicate the exact number of backlinks you ought to buy. Backlinks quality. Avoid getting only high-quality links or only low quality – find a balance with the help of our SEO Expert Tool. Anchor texts distribution is a thing that many people often ignore or do wrong. Still, unnatural anchors distribution may become the main reason for the drop in rankings and traffic drop. About 20% of backlinks should come from irrelevant resources. 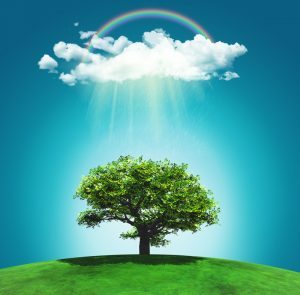 In this way, it will look more natural than a backlink profile with 100% ideal and appropriate links. These easy-to-follow steps are appropriate for any website. So use them to the fullest for higher rankings and boosted traffic! Don’t have time to manage the SEO issues of your website but still want to be sure that you are on the right side of your SEO? Rely on our SEO experts!